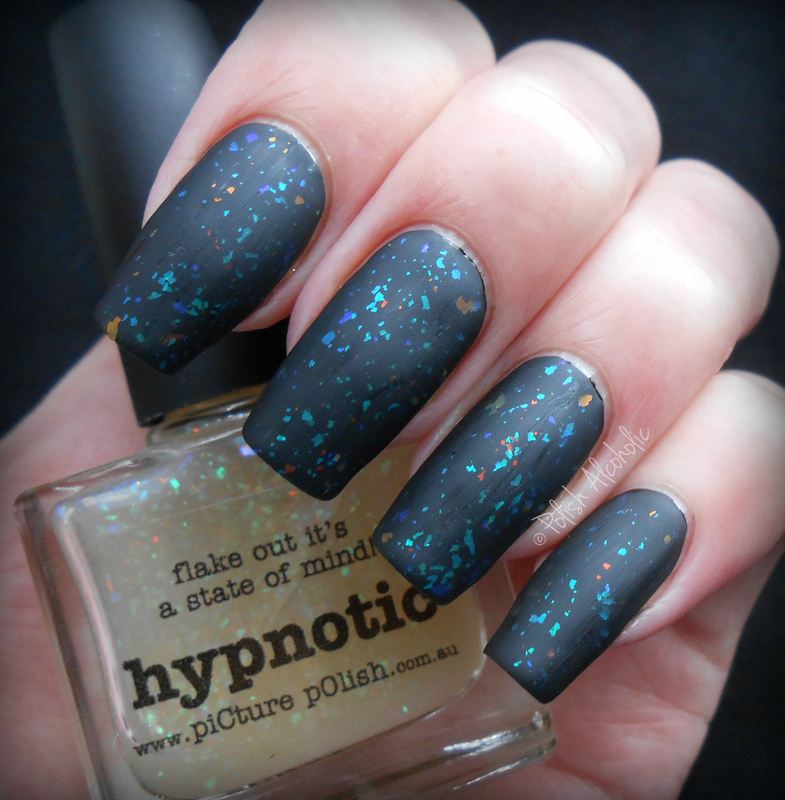 Hypnotic is a clear base packed with flakies in blue, green and orange. Lovely ha! The formula is great. No fishing or rough pieces 🙂 I used one easy flowing coat over a black base with no additional top coat. Now let’s add a matte top coat: Hmmm, adding a matte top coat reveals the true colors of the flakies but I think I prefer this one without it. How about you? 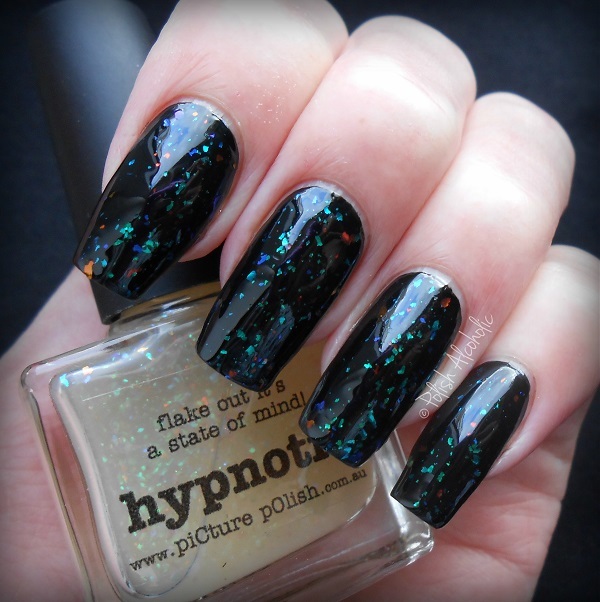 This entry was posted in piCture pOlish and tagged flakies, picture polish hypnotic by Polish Alcoholic. Bookmark the permalink. I love these swatches 😀 Coming more and more to the conclusion that picture polishes are wonderful. Ooooo I do love it in matte hey! It then has this sand blasted effect to it! Oh, I love how it looks mattified!! I like it both ways! Beautiful! I looove it mattified, more original and those flecks are awesome! Omg its gorgeous!! I rather it shinny! !